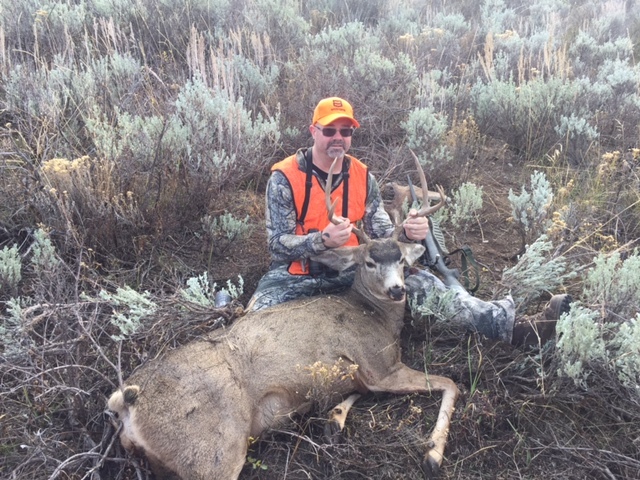 As I do every year, I put in for Utah general rifle deer, Wyoming Antelope and a host of hunts in Washington. This is on top of the general hunts in Washington. Okay, but remember you don’t always get what you put in for…so; I need to feed the passion to hunt. Wyoming came up as ‘Not Selected’ again this year. Which at the time was a bummer, but as the year progressed it turned out as a blessing in disguise. Both my kids deceived that this was a good year to get married and that dad had lots of vacation (not). Then in the summer my hunting buddy whom I put in with, his wife had a bicycle accident that landed her in the hospital for a couple of months. She had a serve head injury and he wouldn’t have been able to hunt. So I was grateful that we didn’t get drawn. My kids both married wonder people and my buddy’s wife has recovered better than expected. Utah draw was a given, but always a little worried about not being drawn. So plans were made and we set out to chase the Mule Deer that we love to hate at times. This year I took my son again and added my nephew to the group. My son only could hunt a few days but always a good time with him. I got to be with my nephew for his first buck and I took a nice buck. 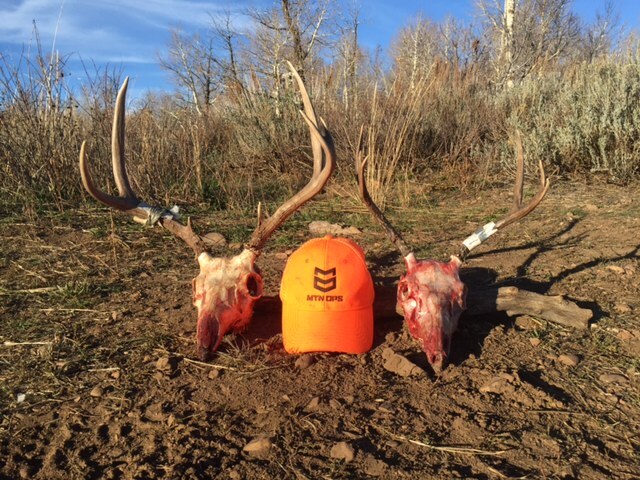 See Utah 2015 hunt story here. Washington draw is always iffy. The web paged showed lots of ‘Not Selected’ in all or most of the categories. 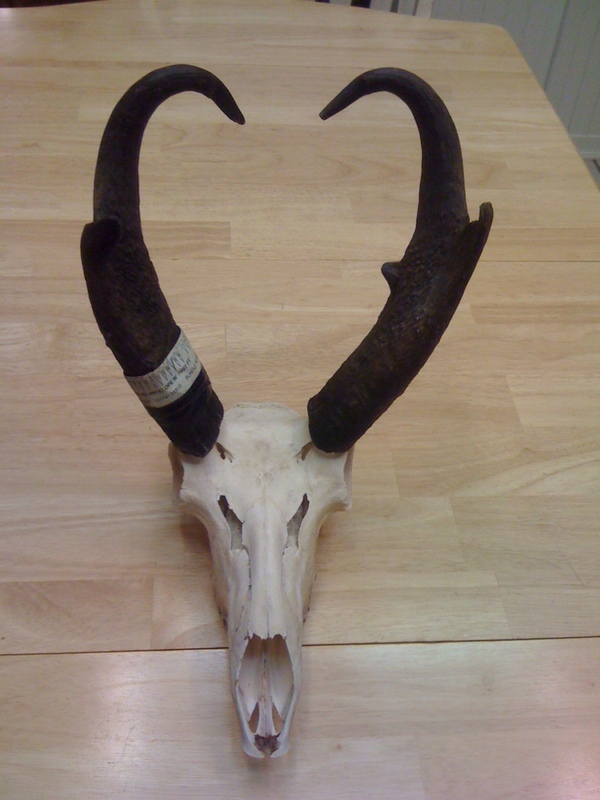 But the State was nice in giving me a Muzzleloader Antlerless elk tag. That hunt was fun but we had a hard time getting close to any. We did spot a few nice bulls and that was good to see. As the saying goes, ’if we had a rifle tag our tags would have been filled’. Washington also selected me for a Master Hunter tag. This tag is to help promote interaction with landowners and the hunter. It also helps remove animals that are destroying the landowner’s fences and crops. I managed to get a cow elk on the first evening of my hunt. It’s always nice to fill the freezer with elk, but knowing that I helped the landowner and the elk herd out is why I believe hunting is conservation at its finest. See WA 2015 MH elk hunt story here. Washington also decides after applying for thirteen years for a Quality Deer hunt that they would be gracious enough to award me with one. I was super stoked for this hunt. My buddy hunted the unit last season and I had my in. We started to plot the hunt out and figure what was best. Well as the months drew closer and we watched the unit burn to the ground…Our hopes started to die. I thought at one point of seeing if I could turn my tag in and get the points back. I was told to hold on to the tag which I did. It turned out much better than expected and I managed to drop a 150ish Mule deer. 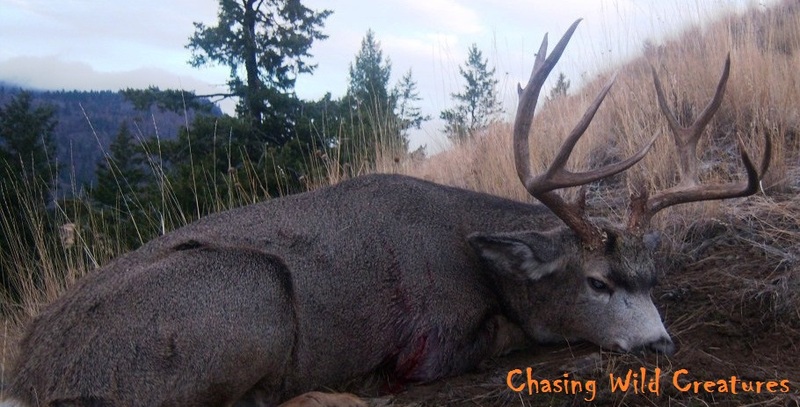 See WA 2015 Quality Deer hunt story here. It turned out to be a great year even if our Washington bear hunt that we planned went up in smoke. But I guess you better not underestimate Mother Nature. I want to thank all the people at this time that helped or provided insight into all these hunts. I am very grateful to all of you. I am grateful that I had this time to be in the woods and to be a part of this great land. I feel a great respect for the animals I hunt and the land in which I am able to chase my dreams.